The Poinsettia plant was originally discovered in southern Mexico in Taxco del Alarcon. The plants had been used historically by the Aztecs to extract a dye for clothing and also for the cosmetics of the period. The milky white sap was converted into a natural medicine for fevers. The Aztecs called the plant `Cuitlaxochitl` meaning flower which grows in residues or soil. The plant was brought to the USA in 1828 by Joel Poinsett who had been the US Ambassador to Mexico at the time. He was very interested in horticulture and had his own extensive greenhouses in South Carolina where he lived. He discovered the plants on a visit to the Taco area and soon sent some plants back home to family and friends. One of his friends was plantsman Robert Buist who recognized the commercial potential of the attractive plants, and made them available to a wider market. He sold them under their botanical name `Euphorbia pulcherrima`, which means most beautiful Euphorbia! 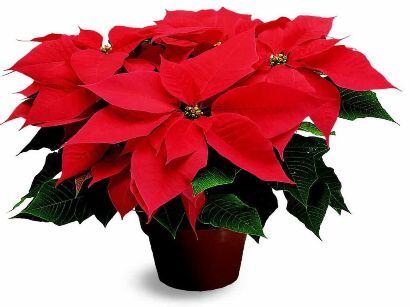 Eventually the plants became known as Poinsettias, named after the original discoverer Joel Poinsett. Historically in the 16th century in Mexico the plant became a symbol of Christmas following a popular legend about a poor girl. She was too poor to afford a gift for Jesus` birthday, and was inspired by an angel to gather weeds from the fields and put them at the foot of the church altar. It was said that crimson blossoms grew from the weeds into beautiful Poinsettias. Then in the 17th century, monks adopted the plant as a symbol of the star of Bethlehem with the red colour representing the blood of Christ at the cruxificion. In modern times in Mexico and Guatemala, the flower is known as `Noche Buena` or Christmas Eve. In Peru and Chile, it is known as the `Crown of the Andes`. 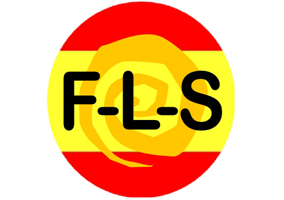 In Spain it is called `Flor de Pascua`, or the Easter flower. 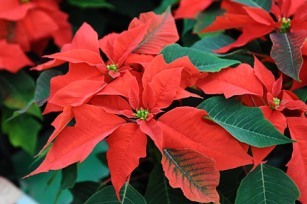 Throughout many other parts of the world Poinsettias are now regarded as one of the most popular of Christmas plants.